He's the dark-edged, avant-garde artist who lifted ventriloquism into the 21st century, acquiring a multitude of fans and critical acclaim along the way. Led by the evil Chuck Wood and delightfully cute Ted E Bare, Strassman's "renegade band of puppets" (as The Scotsman called them) create a multi-layered stage performance. Audiences forget that its actually a one-man show! As a concert act, Strassman tours mostly Australia and New Zealand, filling theatres for weeks at a time. As one of the top theatrical acts, he combines a unique perspective with jaw-achingly funny material. And he's not only popular in Australia. Strassman's radically original theatrical productions have played London's West End, New York's Off Broadway and the Edinburgh Fringe. Yet he's most proud that he gets as many laughs in a theatre in Outback Australia – without all the tech wizardry - as he does in LA or New York. Strassman has twice revolutionized the dusty old world of ventriloquism. First, he developed his signature robotics in 1986. He and a NASA engineer mate snuck into the Ames Research Facility in Oakland, California one (drunken!) night to create the machinery that would bring Chuck to robotic life. Even in our CGI world, the robotic puppets still shock and delight audiences. Then Strassman did it again at the famous Edinburgh Fringe, 2010. He created Duality with acclaimed American writer-director, Steve Altman. The first ever dramatic play (as opposed to comedy sketch) created by a ventriloquist, it garnered 5 star reviews. Edinburgh's List magazine said "the writing is truly superb and the performance – or should that be performances? – breathtaking in linguistic and ventriloquistic dexterity. Providing much food for thought, Duality takes the ancient art of ventriloquism up several notches. Absolute genius". Strassman's characters have also made him a unique television personality. 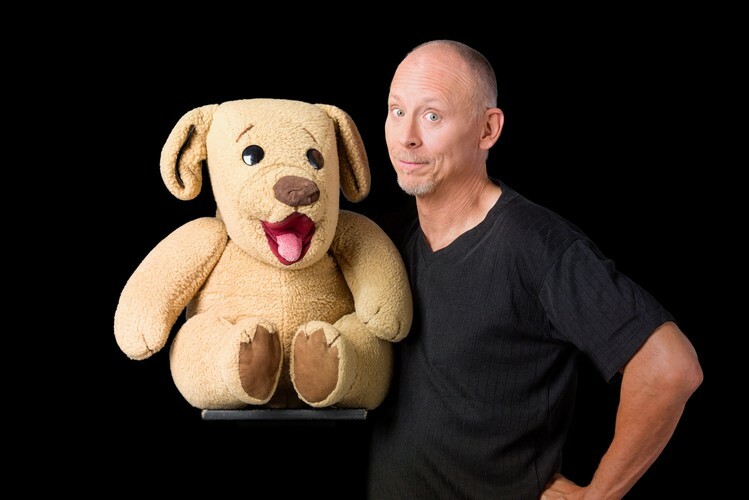 With Chuck asking the questions we all wish we could ask – but are forbidden to by human politeness – Strassman created hilarious television chat shows in Australia (Channel 9), the UK (ITV) and New Zealand (TV2). Also onscreen, his DVDs have been successful. His first release, Strassman Live, has sold triple platinum in Australia. The second release was The Chuck You Tour and the Get Chuck'd Tour is the third release. Ted's Farewell Tour, his fourth DVD, will be released later this year.